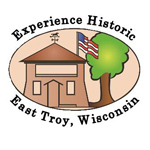 There’s so much to see and do in East Troy and throughout the Lake Geneva area. Our tourism partners are happy to help you plan your journey. Just steps from the train depot, East Troy’s historic village square is home to a variety of seasonal events and surrounding businesses to explore. And there are plenty of local restaurants in the area serving delicious fare. Known as the “Newport of the West,” Lake Geneva is home to a wealth of land and water-based activities. And Lake Geneva is Just 20 minutes from the East Troy Electric Railroad! Our friends at the Walworth County Visitors Bureau are ready to assist with your travel plans. From B&B’s to bicycling, lodging to lounging, sightseeing to spas, help is just a click away. Just a short jaunt north of the East Troy Electric Railroad resides the village of Mukwonago, home to interesting shops, restaurants and accommodations. Be sure to ask for a walking tour brochure. Home to the award-winning Apple Pie Baked in a Paper Bag®, the Elegant Farmer is where you’ll find all the goodness of homemade, fresh picked delicacies. The Elegant Farmer also boasts a seasonal calendar chock full of family fun events. After you ride the rails, you have to get out on the water. Offering a number of unique tours of Geneva Lake and the magnificent estates that dot the shoreline, Lake Geneva Cruise Line guests receive a 10% discount off of daily train tickets. And if you present your East Troy Electric Railroad ticket to the cruise line, you’ll receive a 10% discount on any cruise. Yerkes Observatory is a facility of the Department of Astronomy and Astrophysics of the University of Chicago. It was established in 1897 on Geneva Lake in Williams Bay, Wisconsin. Until the mid-1960's, Yerkes Observatory housed all of the Department's activities. Today the 77-acre, park-like site in southeast Wisconsin provides laboratory space and access to telescopes for research and instruction. Yerkes Observatory occupies a unique niche for the educational and the scientific community. It bridges several important perspectives in formal and informal education. The history of astronomy and astrophysics of the observatory is a solid foundation for introducing all the important topics in current research as well as the practice of observational astronomy. There is a huge range of opportunities for learning. Because of Yerkes' historical context, the world of professional and student astronomers and astronomy educators is drawn to the observatory. These communities learn from one another, build relationships, and create programs, which result in enriched experiences and learning opportunities for young and diverse members of our society. 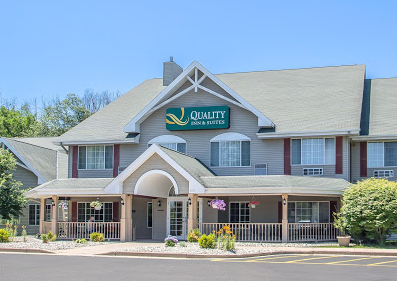 Located just blocks south of the museum, Quality Inn & Suites has you covered when it comes to lodging.